Hello my lovelies! Happy new year and welcome to the Monday Blues of 2015! It's my pleasure to present this year's event. Hopefully many bloggers will join me every Monday so we can post lots of blue manicures together. It's the first Monday Blues of the year so it must be a festive one. I decided to make my manicure a little festive and glitter is the best way to do it. This was my New Year's Eve manicure so it's a really fresh one. Here we go! 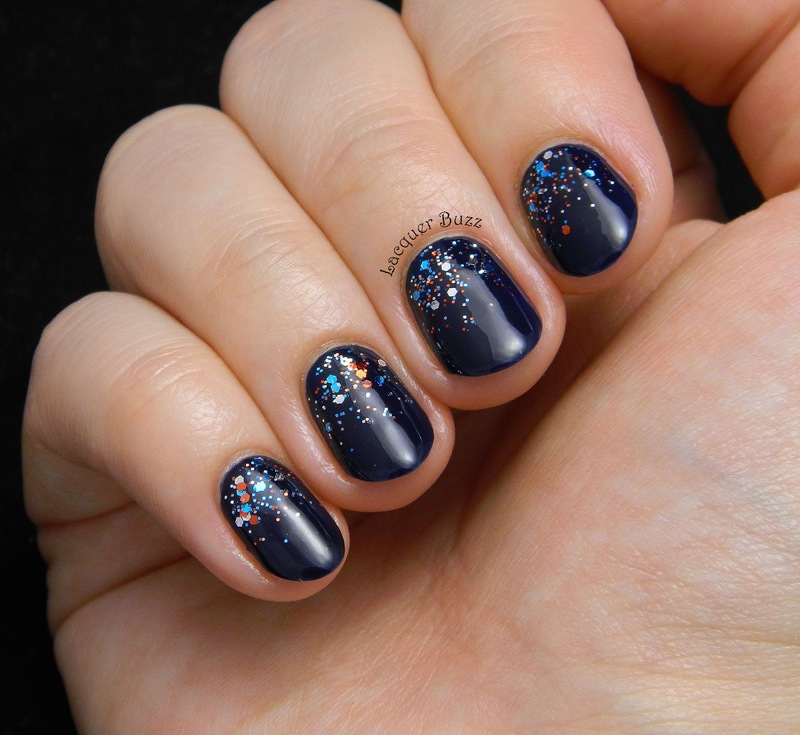 This is also a very special manicure for me because I created it with my very first Picture Polish. I never thought I would own one of these but it has been made possible through the courtesy of my very special friend Kinga. She gifted this beautiful glitter to me and I can't thank her enough. It's so special and fun! I love it! 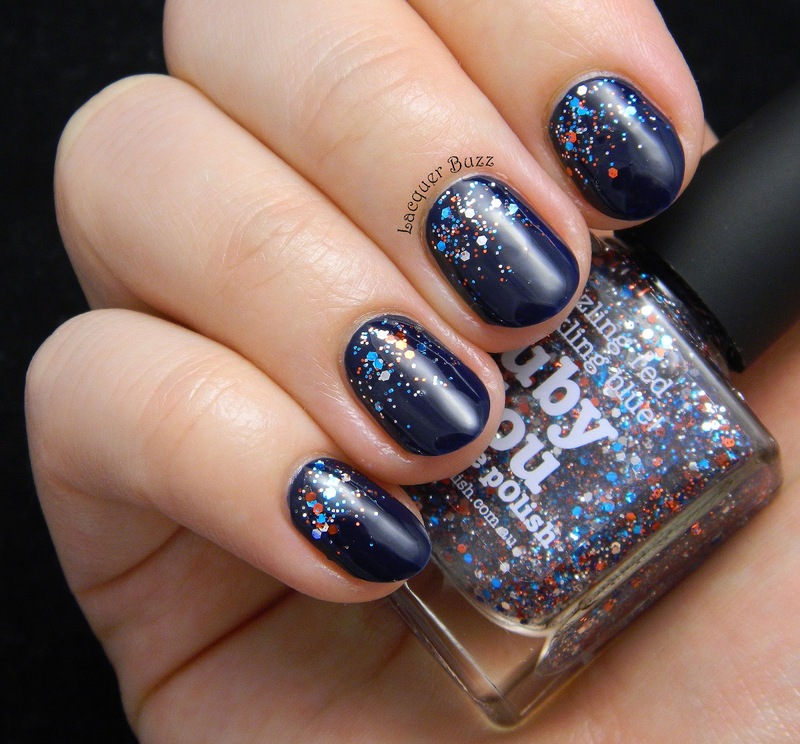 Ruby Blou consists of a clear base that is filled with different sizes of blue, red and silver glitter. The density of the glitter is a medium one, which means that it's made for layering. 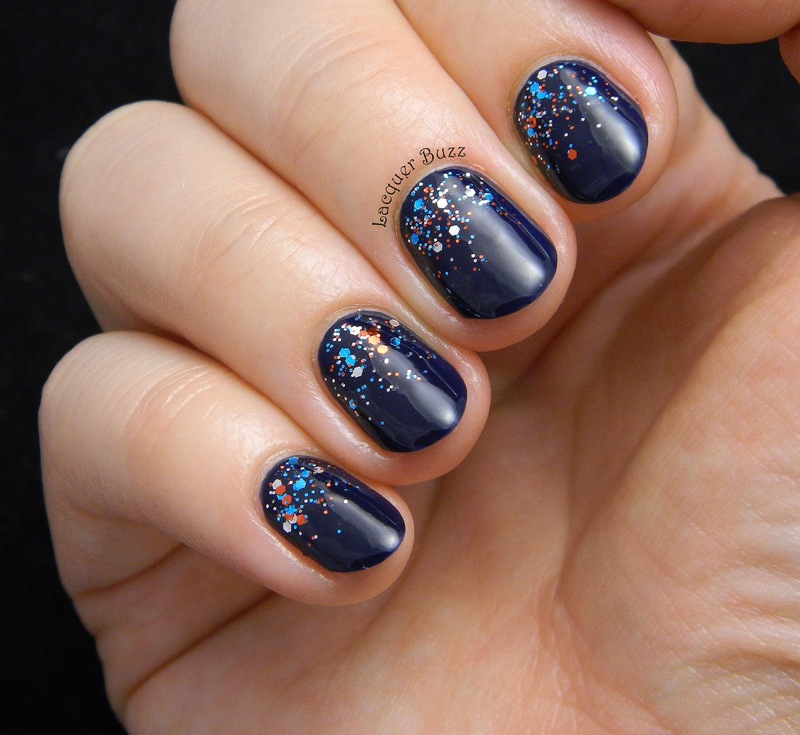 I decided to layer it over a dark blue base so I could bring out the colors in the glitter. The polish I used is Kiko 839 Teal Blue from the Quick Dry collection. It's the perfect dark blue because you can tell it's blue and it doesn't look black. After 2 coats of the creme, I created a reverse glitter gradient with Ruby Blou on top. I love the subtlety of this look! As you can see, my New Year's Eve manicure was both festive and elegant. I've heard that on New Year's you are supposed to wear red for good luck so I hope the red glitter in this counts. Because other than that I was all blue. Make sure you check out the other Monday Blues posts below and have a very happy 2015! Have a great week and year!! 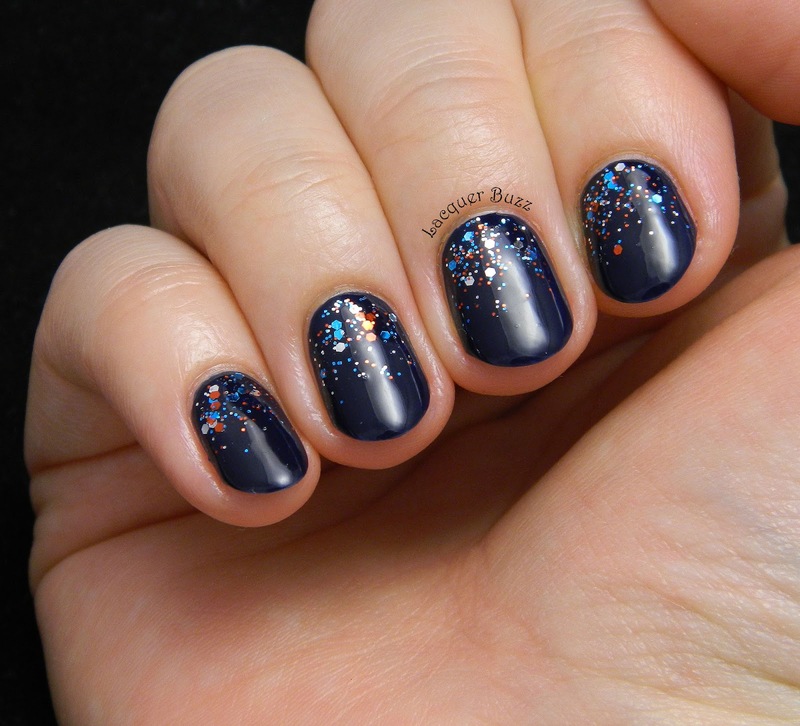 I always love a glitter gradient and this one is fabulous! That dark blue you used is so rich too. Ruby Blou is such a great glitter!! Love what you did with it here.